The most important piece of hiking gear you have is your boots. A solid pair of hiking boots can make the difference between an amazing day out in the hills and a slow, painful, slog back to the car. 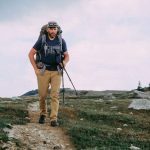 Investing in a pair of well-fitting boots is the best decision you'll make in your hiking career, but it's easy to be overwhelmed by all of your options. 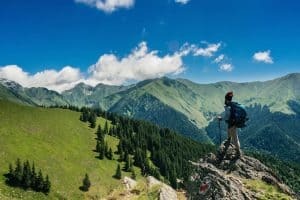 To help you find the best hiking boots for your needs, we’ve created this in-depth buying guide which answers all your footwear-related questions. First, we’ll discuss some important considerations for buying hiking boots and then we’ll review five of our favourite models on the market today. Note, if you're looking for women specific boots check out our article on womens boots here. ​As you know, hiking boots are critically important. But how do you ensure you get the right boot for your needs without spending the next year looking for the perfect pair? Luckily, we’ve come up with this list of important hiking boot-buying considerations. When buying hiking boots, the number one thing you should look for is a perfect fit. Even the best boot in the world won't do you any good if it causes gigantic blisters or painful Achilles tendonitis. We highly recommend trying on boots before you take them on a hike. The best time to try on boots is in the afternoon, as your feet naturally swell throughout the day. Bring hiking socks and your own orthotics (if applicable) when you try on boots. 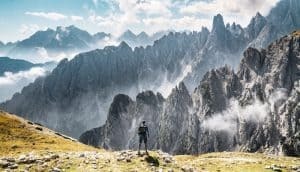 Although it’s impossible to replicate what it feels like to hike in boots, this will ensure that you try on boots in somewhat similar conditions to what you’d use them in. Make sure to thoroughly test the boots before hiking. Go up and down stairs and find an inclined surface to walk on. Note any potential problem areas - especially with heel rubbing and jamming toes. We can assure you that these problems only get worse after 20 km of walking. If you’re mostly a day hiker, you can probably get away with a mid-top boot that doesn’t provide too much foot stability. 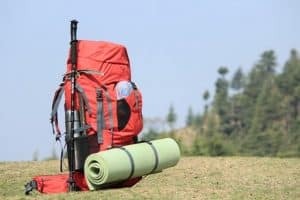 Backpackers, on the other hand, will almost always prefer a bit of a beefier boot that can support their ankles under heavy loads. 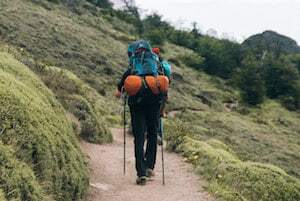 However, there’s often a trade-off here, when it comes to weight and flexibility - while the best day hiking boots are light and flexible, most backpacking boots are sturdy, yet heavy. Of course, if you prefer a more flexible boot for backpacking and a sturdier boot for day hikes, then go with what feels best. 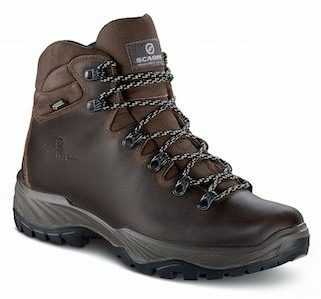 Some hikers might prefer a mid-range boot that mixes support, flexibility, and a moderate weight to use on any trail. 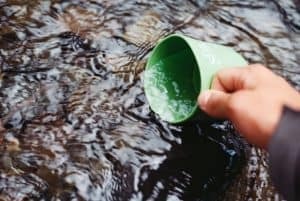 No one enjoys water in their boots. Plus, walking around with a puddle in your boots is a sure-fire way to develop blisters, mould, and odour. Most modern boots come with a waterproof liner, either Gore-Tex or a brand’s proprietary waterproofing system. While these liners are waterproof, Gore-Tex tends to be the most breathable of the bunch. In addition to a waterproof liner, boots are made of a variety of materials. Full-grain leather is a classic boot material that combines durability with water-resistance but is generally heavy and not terribly flexible. Meanwhile, synthetic materials tend to be lighter, breathable, and quick-drying, but aren't nearly as durable as a traditional leather boot. As you can see, there are so many things to consider when buying hiking boots. We recommend prioritising the perfect fit over other features, but really, it’s about compromise. The best boot for you is the one that best meets your needs, so it’s important to have a good idea of what you want from your boot. 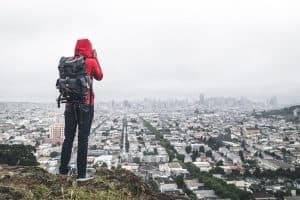 To help you decide, we’ve reviewed five great hiking boot options, so you can get out the door and onto your next adventure. Salomon made the X Ultra 3s with light-and-fast hikers in mind. At a miniscule 448g/pair and a super breathable mix of textile, softshell, and waterproof PU coated leather, these boots are designed to fly up the trail. Although they’re light, the X Ultra 3s are also quite supportive. Salomon’s ‘Advanced Chassis’ system is integrated in between the outsole and midsole on these boots to add motion control and stability for an efficient stride. Plus, a protective heel cup and rubber toe cap keep your toes happy amongst rocks and tree roots on the trail. If that wasn’t good enough, the ContraGrip outsole provides great traction even in the muddiest terrain. 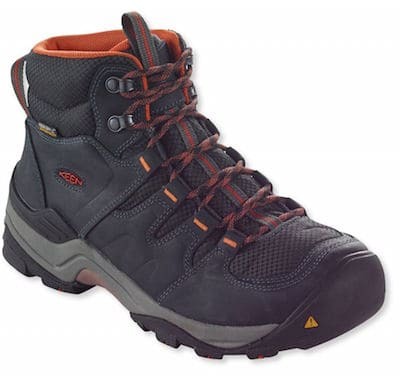 "I’ve really enjoyed using these boots for lightweight backpacking trips on rocky terrain. I love the low-top version, the Salomon XA Pro 3D GTX, for daily use and for short hikes on my backyard trails! They’re definitely best for people with narrower feet, like me." 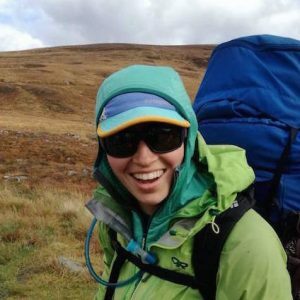 We wouldn’t recommend the X Ultra 3s for hikers who are particularly rough on their gear as the textile and softshell uppers can tear, but they’ll hold up well with standard use. The mid-height design is best for hikers who don’t carry a lot of weight, so if you enjoy speeding up the trail on day hikes or if you prefer to carry a light rucksack while backpacking, the X Ultra 3s might be the boot for you. 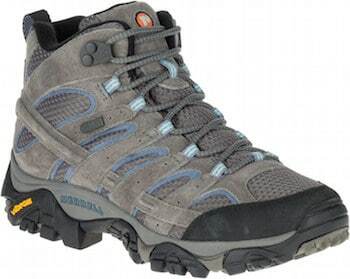 A really great option from Scarpa, the Kailash is a more flexible alternative to our #3 pick, the Scarpa Terra. While both are Italian-made and constructed from leather, the Kailash uses a modern multi-piece suede leather construction, which can be more comfortable for some hikers. Best for use on long, rugged trails, the Kailash has a quick and easy break-in period and differentiated padding around the foot to create a glove-like fit. Flex and stability in the midsole provide support while you move and a rubber toe rand protects the boot from rocks on the trail. The shock absorbing heel cup helps keep hikers comfortable on the downhill, especially with large packs. "These boots come in a very wide BXX last, so narrow-foot hikers will want to avoid them. But, if you’ve got wide feet, they might be a dream come true!" ​Hikers who enjoy strenuous adventures with heavy packs, steep uphills and downhills, and the harshest conditions might prefer the Kailash. These boots are a bit heavy, so they might be overkill for a day hike, but could be great for a serious hiker. ​The Scarpa Terra is an absolute beast of a hiking boot. Hand-made in Italy with a traditional oiled full-grain leather construction, the Terra is incredibly durable. Although it’s made of leather, the Terra is also surprisingly flexible and comfortable, even right out of the box, so there is little need for a break-in period, which is often necessary for full leather boots. Scarpa's midsole design here is flexible, which feels great as you transition from step to step on any terrain. Plus, the Terra uses Scarpa's bi-directional ankle flex technology, which allows for comfortable walking and great support. The Terra's amazing Vibram outsole also provides superior traction on the slipperiest of terrain. This boot could be a great option for backpackers and trekkers who need a boot that can support them and a heavy rucksack on any terrain. If durability, stability, and waterproofing are your ultimate priorities when you’re on trail, the Scarpa Terra might be the hiking boot for you. ​Keen is well known for making affordable and durable hiking shoes and the Gypsum IIs are no exception. Made by one of the only boot manufacturers whose standard shape is quite wide, the Gypsum IIs are ideal for people with high-volume and wide feet. The waterproof nubuck leather and breathable mesh upper on these boots can keep feet happy in wet conditions, though the lack of a Gore-Tex liner can be a concern for some hikers. 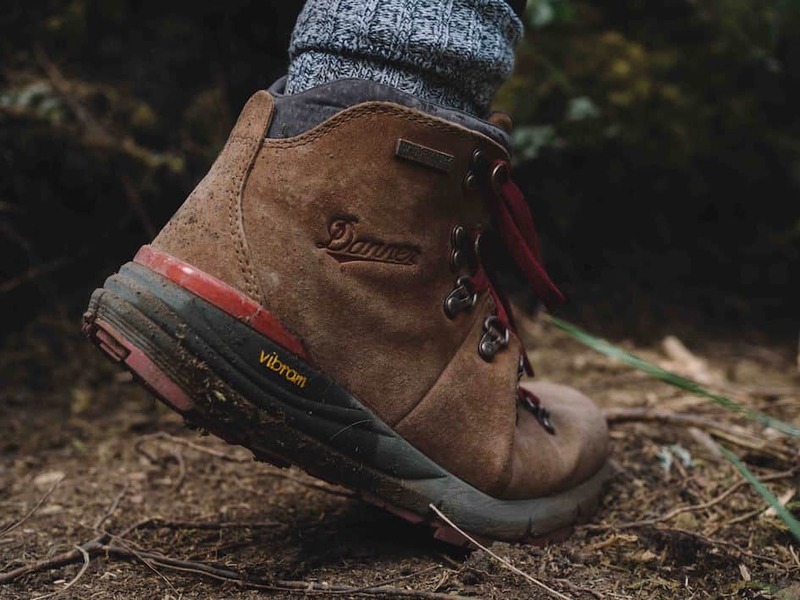 Keen designed the Gypsum IIs with a stability shank underfoot and a beefy non-marking rubber outsole to help hikers feel confident on uneven terrain. Plus, the Keen.Cush midsole technology conforms to the hiker’s foot for ultimate comfort. 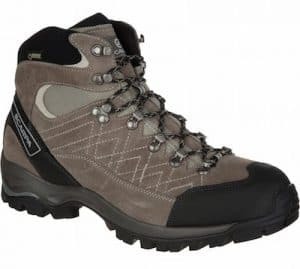 These boots are best for hikers who enjoy casual day hikes or moderate backpacking trips as the mid-top design doesn’t provide excessive ankle support. If you have wide feet or need a lot of room in the toe-box, you might prefer a boot like the Keen Gypsum II. "Hikers who require a ‘wide’ shoe will often fit well in regular-width Keen boots. Or, if you just need a lot of wiggle room in the toe box because of conditions like bunions, the square Keen forefoot shape might feel awesome." The Moab 2 is Merrell’s most recent version of their classic mid-top hiking boot. Despite being named after the famous desert town of Moab, Utah, USA, these boots can handle whatever wet and dry conditions you throw at them. Built with a suede leather and mesh upper with a Gore-Tex membrane, the Moab 2s combine breathability and waterproofing for ultimate comfort. Despite the moulded nylon arch shank, they’re incredibly flexible, which is great for hikers who can’t stand a stiff leather boot. And, the Vibram TC5+ rubber outsole with a 5mm lug depth gives these boots amazing traction on everything from desert slickrock to muddy trails. Hikers who value flexibility and comfort in their hiking boots could really enjoy the Merrell Moab 2s. Although they're a bit on the heavier side for a non-leather boot, their superior breathability can make them feel light and airy on the trail. A great all-around boot, they're probably not the best for carrying the heaviest loads but can handle day hikes and moderate backpacking trips. "These boots come in both narrow and wide lasts and in some large sizes (such as US Men’s 15), so people with larger feet might really appreciate the Moab 2s!." ​The boots in this review can satisfy a wide range of outdoor enthusiasts, from the casual hiker to the seasoned backpacker. However, a good all-around hiking boot is generally ideal for hikers who want one pair of boots for any of their adventures. 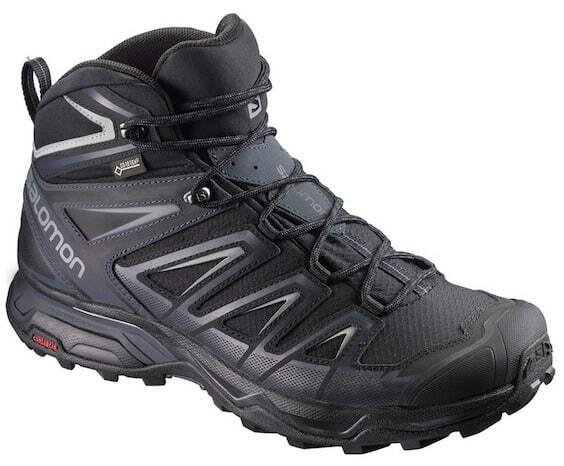 Our top choice in this review is the Salomon X Ultra 3. This boot combines an incredibly light design with surprising durability and stability. The X Ultra 3 is great for any hiking trip because it is flexible, yet supportive, and waterproof, yet breathable. 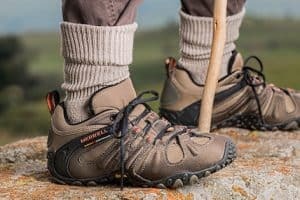 While many hikers won’t find them supportive enough for carrying very heavy loads, they’re great mid-range boots that can perform well on both day hikes and moderate backpacking trips. The Salomon X Ultra 3 is our pick for a broad range of activities, but ultimately, the key to buying hiking boots is finding the perfect fit for your foot and your needs.